Borderlands 3 loot won’t be shared between players, meaning every weapon that you get your grubby mitts on will be yours and yours alone. It’s a marked change from previous entries in the series, which were very much first come, first served affairs. In previous Borderlands games, loot was limited to a specific play session, but anyone in your game could pick up weapons uncovered by anyone else. Among my friends and I, that lead to plenty of people swooping in to nick a legendary prize, but also meant that we spent more time trying to collaborate around our specific builds. The snipers went to the sniper class, of course, while I preferred to have a shotgun, playing as a Roland or Axton so I could mop up any bandits foolish enough to stray too close to my turret barrages. 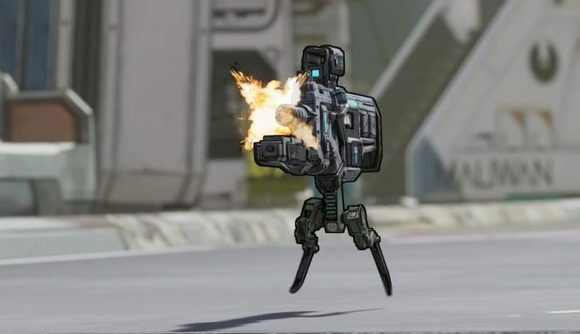 The change should, however, make it easier to see more of Borderlands 3’s arsenal of one billion guns. The store page mentions guns with self-propelling bullet shields, rifles that “spawn fire-spewing volcanoes,” and “guns that grow legs and chase down enemies while hurling verbal insults.” It’s promising to be quite the collection. While I’m not entirely sold on the change, I doubt it’ll detract from the overall experience, which is likely to hold up from the previous games in the series. Those are proving pretty popular in the wake of the Borderlands 3 reveal last week, and I’m planning to dive back in myself before the Borderlands 3 release date in September.